With New Canaan looking to improve financial statements within the next month, a town-appointed body to increase financial oversight and coordination said the town has made significant strides in recent weeks to correct procedures it considers weak. The town’s Audit Committee met for four hours Monday to get updates on work to check draft financial statements and check progress to adopting a list of recommended changes to procedure in the town’s financial accounting methods during a four-hour meeting that included town auditor Marcia Marren, First Selectman Rob Mallozzi, and Dawn Norton, chief financial officer for New Canaan. Early last month the Audit Committee issued the Board of Selectmen and Town Council a list of nine “must have” recommendations that needed to be met before the group recommend approving the town’s financial statements, including more access for town finance officials to access school district spending records, new auditing controls within the tax collection office, and adopting new or revising existing whistle-blower procedures about potential financial issues. The committee’s decision not to recommend approving the statements is a possible barrier to the town borrowing to complete capital projects; but Parrett said the current progress makes it likely it will be able to approve the town’s financial records within a month or so. Communication between the town and Board of Education has improved in recent weeks, with Town Treasurer Andrew Brooks being allowed to review specific Board of Education spending records to reconcile them with town spending figures. The town has also “substantially completed,” a $12,000 audit of internal controls in the tax collector’s office, Parrett said, and a full report on the work is due in January. Town officials have also agreed to bring any significant changes to town accounting procedures in advance to be improved by the audit committee, Parrett said. Mallozzi said in response to the committee’s recommendation to hire a full-time employee internal auditor for town government, he would propose more funding in his own budget to pay for auditing services. A full-time hire would rely on approval from the Town Board of Finance, but Mallozzi promised to consider adding the position. The Town Council is also crafting a “whistle-blower policy,” establishing an independent counsel or other figure to administer the policy. The town adopted a policy three years ago to protect employee’s reporting wrongdoing from retribution. 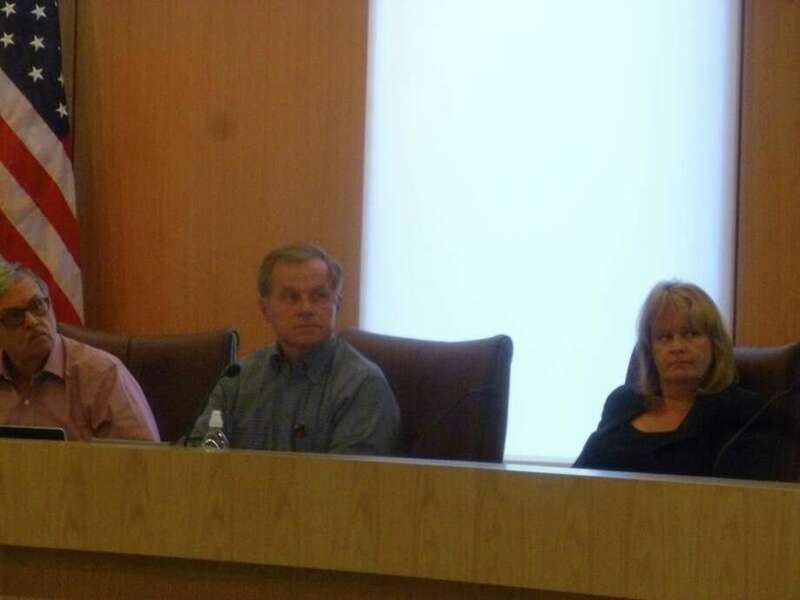 Marren and Norton answered questions from the committee about concerns found during more stringent review of the town’s draft financial statements. Marren said an area of focus is whether the town Board of Education’s financial officers are applying the concept of encumbrances properly in their bookkeeping. The current school’s budget includes $2 million classified as encumbrances, which indicates the funds are reserved for already finalized transactions. The review found just $350,000 of the $2 million in encumbrances were not encumbrances and didn’t represent money the town was already obligated to pay rather than less firm commitments, according to the review. The lack of a firm definition of encumbrances in the town’s budget process is in part to blame, Marren said. Schools Superintendent Dr. Bryan Luizzi said the Board of Education is reviewing its procedures on encumbrances. Mallozzi said while there has been some contention about the extent of the year-old Audit Committee’s authority in recent months, he believes the scrutiny is helping produce more rigorous financial management for the town. The Audit Committee announced in October it was stopping work because of what it viewed as lagging progress to implement stronger internal controls and expand the town and school district’s manpower to conduct more internal auditing to assure spending is proper.